Diageo, as the world’s largest spirits maker, is a master of mass-market selling, but it also nurtures some of its brands within specific ethnic target groups before rolling them out broadly. A recent example involves Ciroc vodka, which was introduced by the company in 2003 into the “ultra premium” vodka market. Its point of difference is that it was the only high-end vodka made from grapes. Sales were modest in its first few years on the market. 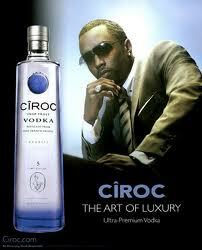 Then, in late 2007, Diageo inked a marketing deal with Sean “P Diddy” Combs, the US rap star.